How Do I Choose the Best Interlocking Concrete Pavers? Selecting the right pavers for a project depends largely on the individual's style preference. Interlocking concrete pavers are available in a wide variety of styles and designs that are bound to interest anyone looking for a paving solution. 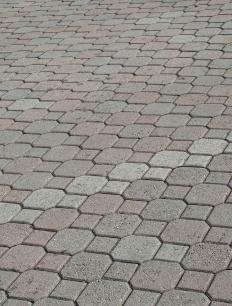 Choosing the best interlocking pavers begins by selecting a style that complements the existing home and surroundings. Perhaps a stone pattern would best suit a country setting, while a brick pattern may work well in the city. The project design is limited only by imagination, availability, and budget. Modern interlocking concrete pavers are produced using advanced manufacturing techniques. Realistic stone and brick patterns look authentic yet provide the durability of concrete. Driveway, patio, and walkway surfaces can be designed to create totally unique landscaping solutions with aesthetic qualities that will add value to your home. Manufacturers and suppliers of pavers offer many variations of traditional stone and brick patterns. The uniform thickness of interlocking concrete pavers makes them much easier to install than real stone. Concrete products are also much stronger and more durable than stone or brick. Concrete is less expensive than real stone, and the cost of installation is far less than stone masonry work. When the project is correctly installed, it's hard to tell the difference between real stone masonry and interlocking concrete pavers. Selecting the right paver for your project will depend on your style preference, the availability of products, and the budget. Paving product suppliers typically offer delivery services at a fair price. The availability of paving products in your area may be limited, but online shopping may offer an alternative. Many areas have landscape centers, home improvement stores, or masonry suppliers that carry a varied selection of interlocking concrete pavers. Some products may be available in stock, while others may have to be special ordered. Many concrete paving products are complemented by matching wall products. The total outdoor environment can be transformed using the wide variety of paving and wall products. Sitting walls, privacy walls, and retaining walls are easily constructed without the need for mortar joints. Paving products are also comparatively easy to install, but the excavation and ground work must be done properly. Pavers are designed to rest on a level base usually composed of gravel and sand, which also provides drainage. 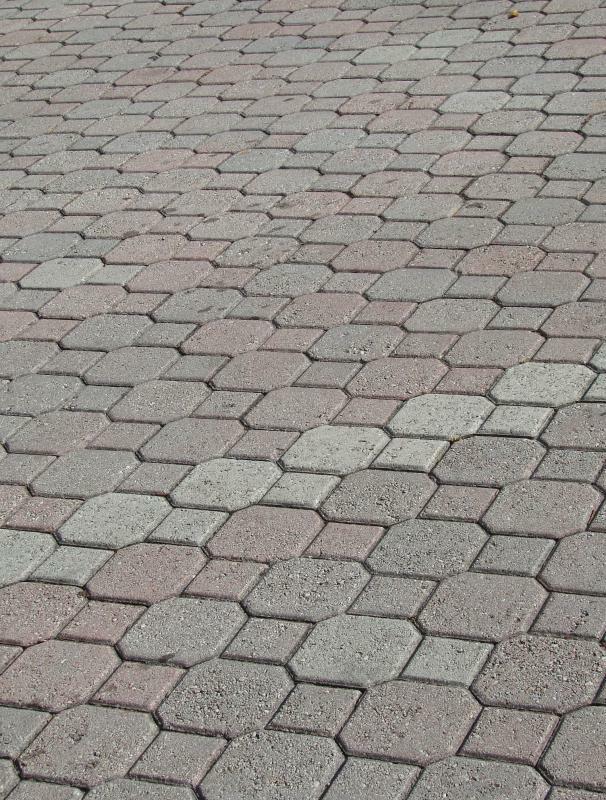 Among the many advantages of interlocking concrete pavers is the ability to repair damaged areas with relative ease. It may be a good idea to purchase a few extra pavers in case liquids or other materials stain the concrete. Damaged pavers can simply be removed and replaced with new pavers. Companies sometimes discontinue styles and colors, so ordering extras in the beginning may save time and trouble later. Many stone and brick patterns can be mixed and matched to create a custom design. Modern coloring techniques offer realistic looking products that are accessible to do-it-yourself projects. Contractors are available in most areas to assist with design and installation. How do I Lay Interlocking Driveway Pavers? How do I Choose the Best Interlocking Patio Pavers? How do I Choose the Best Concrete Pavers? What are the Different Types of Block Pavers?